The 9 inch Tapered Flex blade. We use the same patented textured no-slip-grip handle and stainless steel as the other Bubba Blades. The non-stick coated blade makes filleting smaller pan fish & meat cutting even easier. Add this 9 inch blade.. This is the knife featured in the Bubba Blade™ Knife show. Because of the blade thickness (2mm) it is an over all heavier knife. 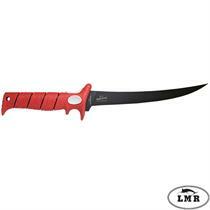 The knife has very little flex so you can power though the bigger fish or big game with total control. 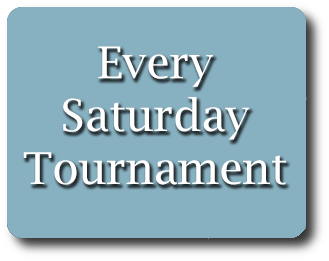 It's also excellent..
You asked for it and now it's here! The 7 inch Tapered Flex Fillet Knife. We use the same patented textured no-slip-grip handle, and stainless steel as the other Bubba Blades . The non-stick coated 7 Inch blade makes filleting smaller pan fish & meat..
Victorinox (Forschner) 14" slide with a serrated (wavy) edge. The blade is 1-1/4" wide at the handle. The serrated or wavy edge is best for slicing cold meat. The patented black Fibrox handle is hygienic and very sanitary, being NSF approved as. . .
Used primarily for butchering large pieces of meat. High carbon, stainless steel blades are hand finished in Switzerland by skilled craftsmen. Each Victorinox knife is stamped from a single sheet of metal. 40534 - Flank & Shoulder, 8" Stiff, Black Fibrox Handle. This is just a plain old good blade. Nothing fancy but a heavy and stiff utility knife. 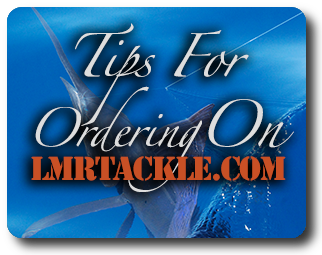 A very good choice for heavy scaled, tough skinned fish like grouper and snapper. 41695 - Bread, 10" Curved, Wavy, Black Polypropylene Handle. 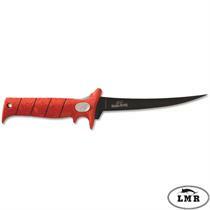 This heavy serrated knife is our Wahoo steaking knife. The serrated blade easily "walks" through the heaviest of backbones, making the steaks perfect. 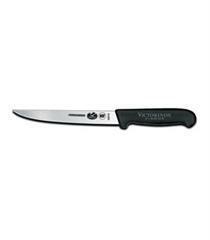 Forschner by Victorinox - 41510 - Straight Stiff Blade - 7"
41510 - Boning, 7" Straight, Extra-wide, Stiff, Black Fibrox Handle. 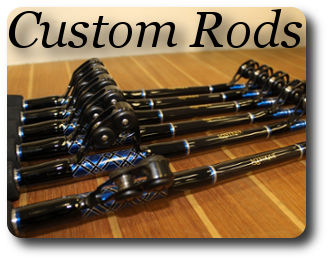 This is the perfect blade for smaller thick skinned and heavy scaled fish. Snapper, Triggerfish, Sheepshead, and the similar. This is my Triple-Tail knife of choice. Forschner by Victorinox - 40537 - 40538 - Curved Blade - 8"Inch, & 10"
40537 or 40538 - Breaking, 8" or 10" Blade, Black Fibrox Handle. 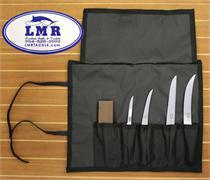 This is LMR's #1 knife! Capt. Andy has uses these two blades for over 20 years and still has them in service today. 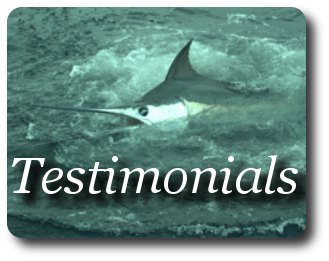 I have cleaned all types of fish from Yellowtail to Swordfish. 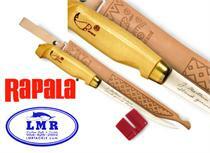 Fish n' Fillet Knife - Rapala - 7-1/2"
More guts than any other knife, this is the one that taught the world to fillet. 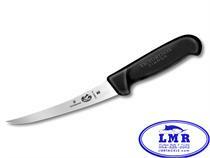 With over 40 million sold to date, this knife is used in more fishing camps, on more charter boats and by more fisherman than any other fillet knife in the world. 40518 - Boning, 5" Straight, Narrow, Semi-flexible, Black Fibrox Handle. The perfect Yellow Tail knife. 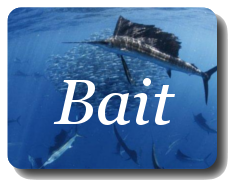 Can be used for any smaller, thin skinned fillet job. 40519 - Boning, 6" Narrow, Semi-flexible, Black Fibrox Handle. Just a little narrower..
Forschner by Victorinox - 40515 - Curved Semi Stiff - 6inch. A thinner, more flexible version of the 40515. Easy to work around bones without snagging the filet. 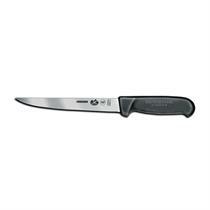 Victorinox (Forschner) 5" or 6" Boning / Fillet Knife, curved flexible narrow blade. The patented black Fibrox handle is hygienic & very sanitary, being..
40508 - 3-1/4" (Large Black Handle) - Our most popular bait knife even razor sharp & flexible. Sharpens easily - Large handle is ideal for larger hands. 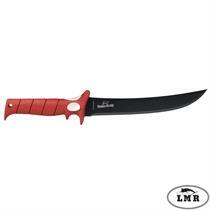 40600 - 3-1/4" (Small Black Handle) Our second most popular bait knife - first the smaller hand well..